We all love using our credit cards that provide bonuses for dining, right? Some cards offer 2x on dining, while many premium cards offer 3x on dining. Well, here’s a way to earn another 7x-10x on dining on top on all of those points. There’s a new app called Dosh that provides instant cash back on dining when you dine at partner restaurants! Refer your friends and receive $5 whenever they sign up! Dosh is an app that provides cash back on dining when you use your registered credit cards at select restaurants. And I’ve already shared how Dosh can earn you cash back when making hotel reservations. There are a bunch of restaurants near my house in Orange County, California, that are offering between 7% and 10% cash back. That’s just like earning an extra 7x-10x on your favorite cash back credit card. And the best thing is that registering your credit cards with Dosh doesn’t interfere with the points you would already earn! A few weeks ago, we were visiting one of my favorite local destinations along the California Coast, Avila Beach. Based on the recommendation of the resort, we visited a restaurant called Fat Cats for breakfast. When I paid for our meal, I received an expected email… I had received Dosh cash back on dining! I rarely pick restaurants solely based on earning cash back, so I love it when I receive surprise cash back like this! I love tools like this that can leverage your existing credit cards to earn even more points and cash back. If you’re already dining at these restaurants, why not earn Dosh cash back on dining to save even more money? The process is super simple and, once you’re registered, you can refer your friends and earn $5 for every referral! Bald Thoughts is affiliated with Dosh via a sponsored post. Although Dosh is sponsoring this post, the opinions are mine and I’m an active user of Dosh personally because I like saving money. 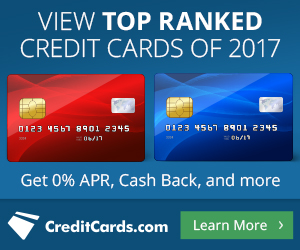 US Bank Altitude Reserve Credit Card Review. Easiest Spending Category Ever! GasBuddy Review – The App Everyone Should Have To Save On Gas! Does it conflict with other programs if you register the same credit card, such as Mileage Plus Dining, where I get 5x miles/$1? There are some programs that it does conflict with, such as Yelp and MOGL. I don’t recall seeing a conflict with the airline miles dining programs. I’ll have to try to register the same card tonight with United (or any other airline) and see if an error pops up. Yeah, we’re lucky. Several fast food places near me to choose from. And, since I have kids, getting Dosh Cash Back from Chuck E Cheese is sooooo awesome. LivingSocial Restaurants Plus Shut Down. Now What?